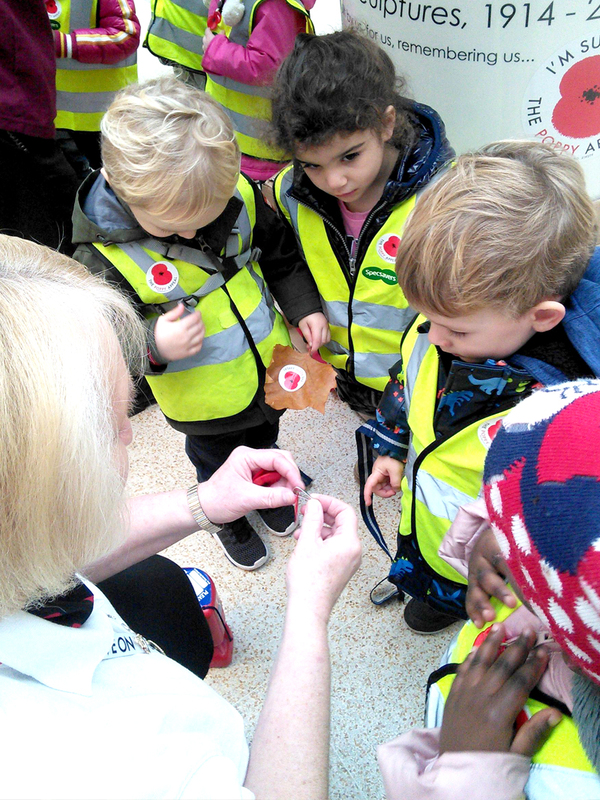 Our pre-school children were curious as to why the nursery staff and their parents were wearing poppy’s. We went on a trip to Middleton town centre and visited the Poppy Appeal stall. The children all made a donation and in return got a wonderful reflective poppy to wear on their coats. The wonderful staff explained to the children how some extremely brave people worked very hard to keep us safe and how poppy’s grew to become the symbol of the appeal and how the money they gave would be used to help people. On the way back to nursery we visited The Fallen Soldier.